Okay! 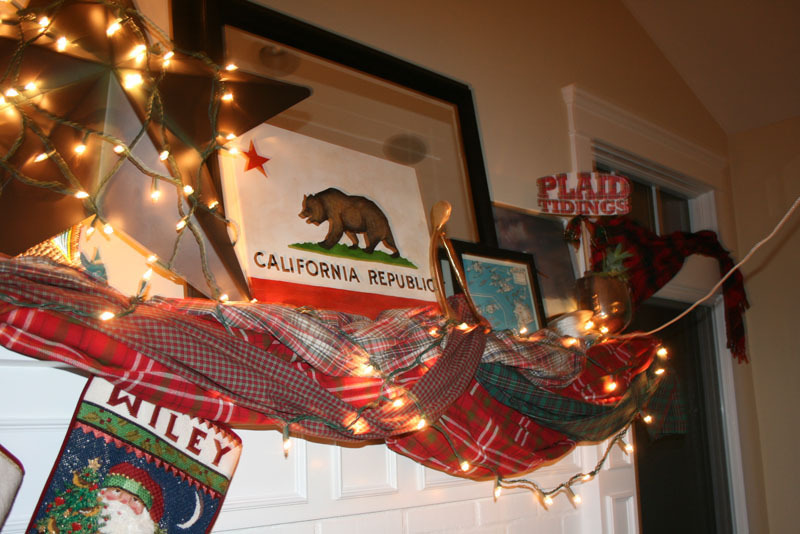 Here it is – my plaid house to match our plaid Christmas card. Nothing really groundbreaking here but thought I’d share it anyway. 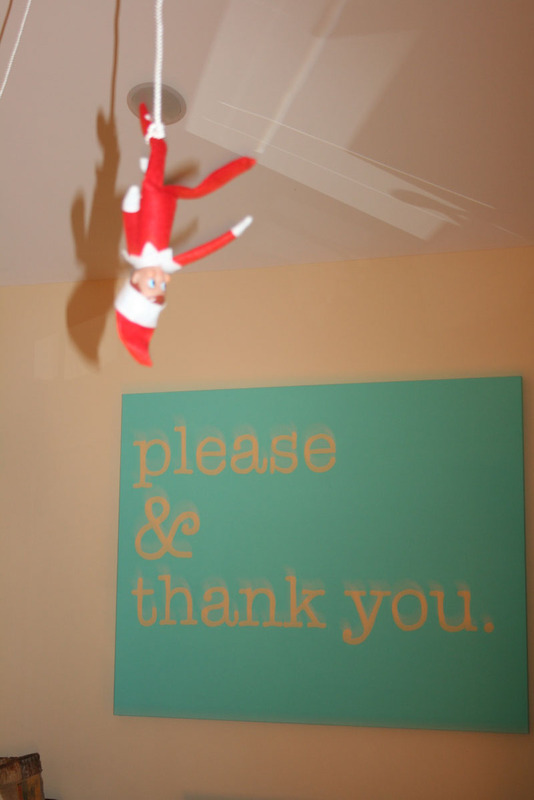 Don’t mind our friendly little Elf, Zero (his name! ), he was hanging from the ceiling fan when I took these and I didn’t want to wait until he went back to the North Pole to snap away. 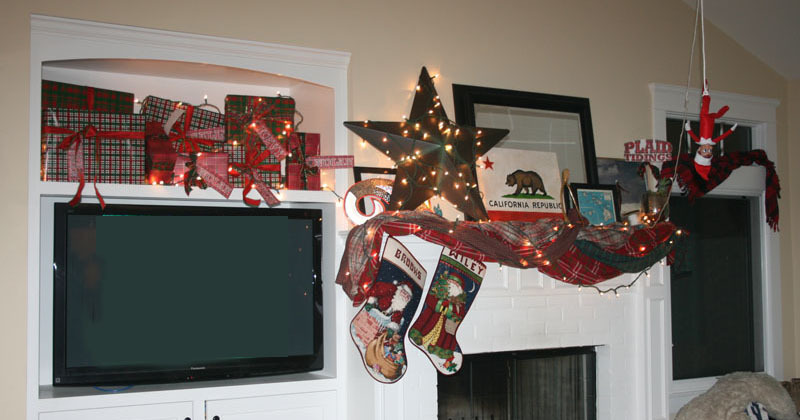 I’ve realized that it’s best to keep the pressies away from my Tasmanian Devils sons so they live above the TV each year. 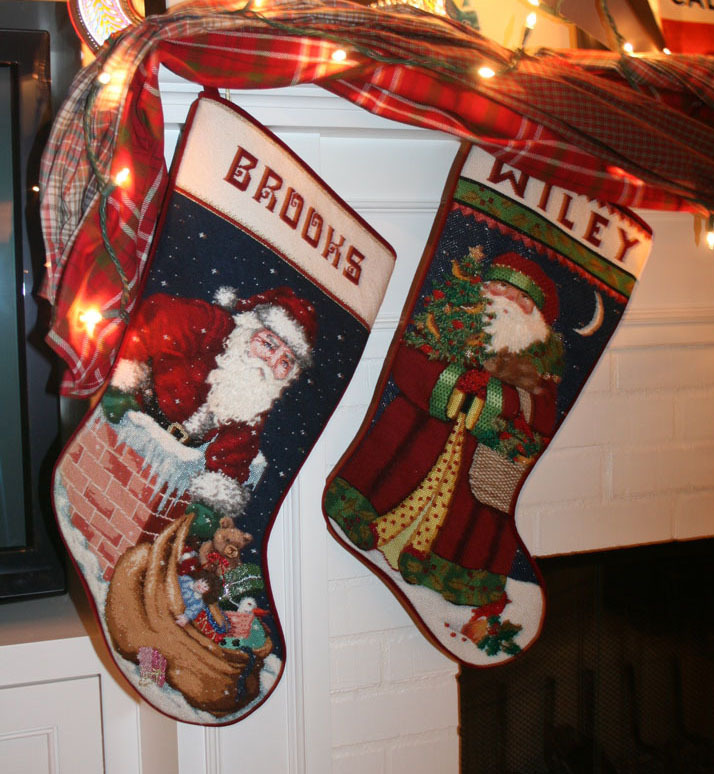 That Crafty Jan needlepointed our boys’ stockings and they are truly pieces of art in my eyes. I almost don’t want our kids to touch them! 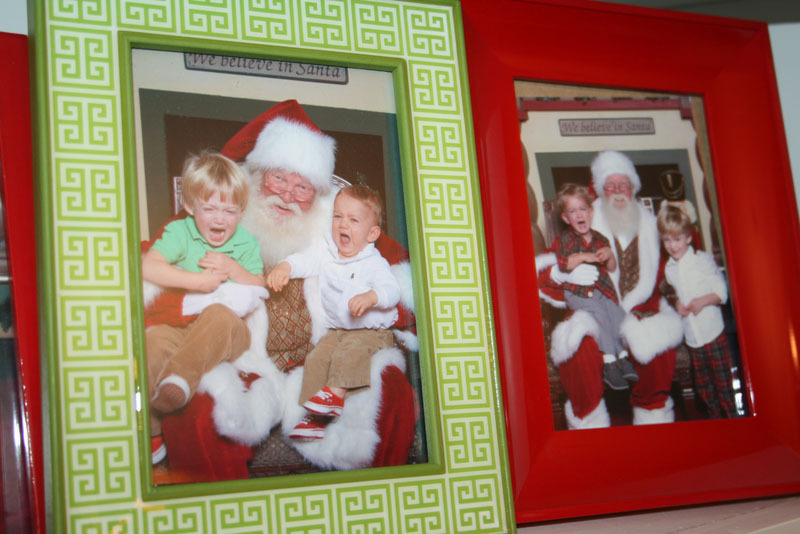 I frame the infamous Santa photos each year and can’t wait I have a collection of 18 frames! (As if the boys will sit on that jolly man’s lap any time past the age of 9!) I find it hilarious how upset Santa makes these guys! Our (now very dead) tree is decked out in plaid as well. 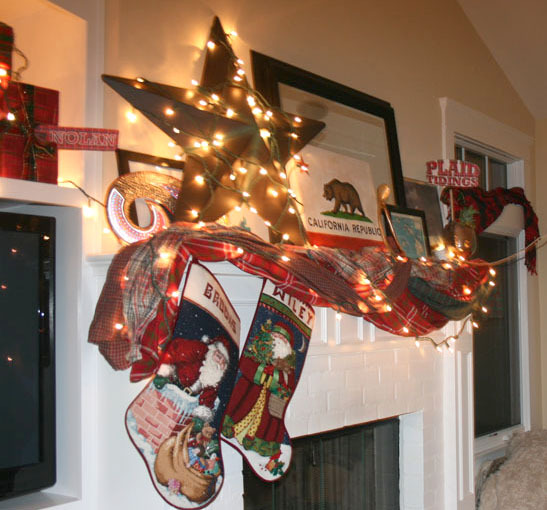 I forgot to snap photos of the stairwell which is decked out in lights and plaid, but by now you get the idea. It’s like a bagpipe player threw up in here! 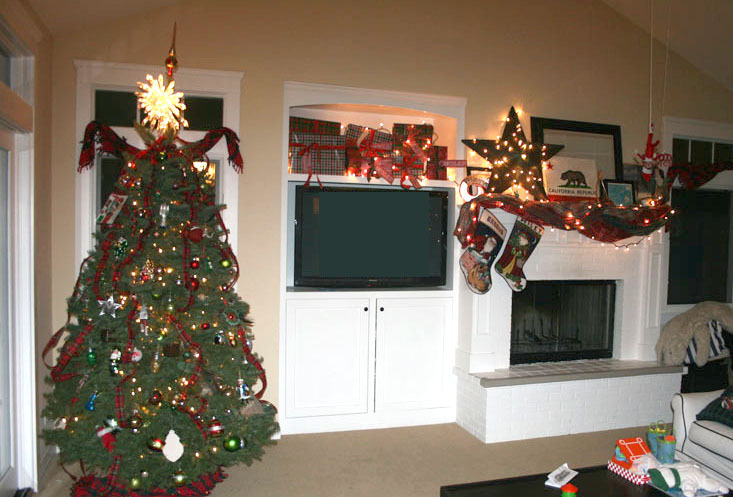 I’m hoping to share last year’s decorations and my mom’s house by Christmas but I am a serious ding dong these days so forgive me in advance if I can’t get my act together! Merry Merry to each and every one of you! 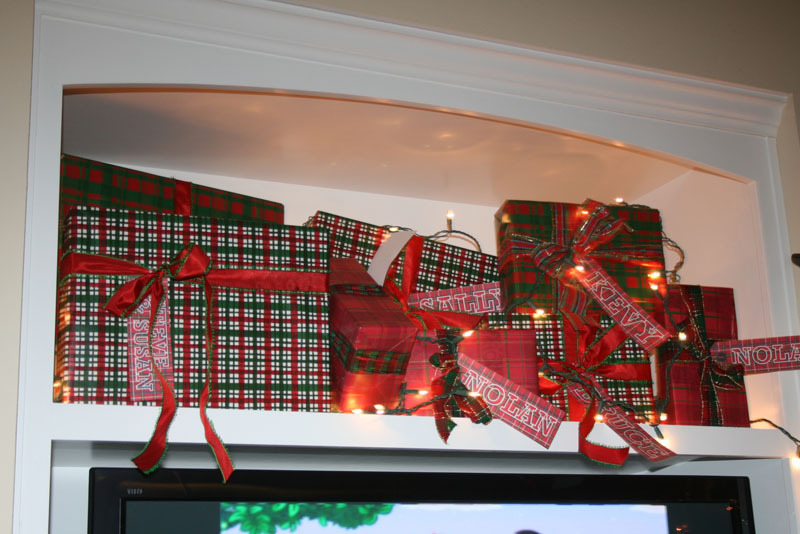 This entry was posted in holidays and tagged christmas decorations, christmas plaid, christmas tree, decor ideas, elf on the shelf, plaid, tartan christmas by Annika. Bookmark the permalink.